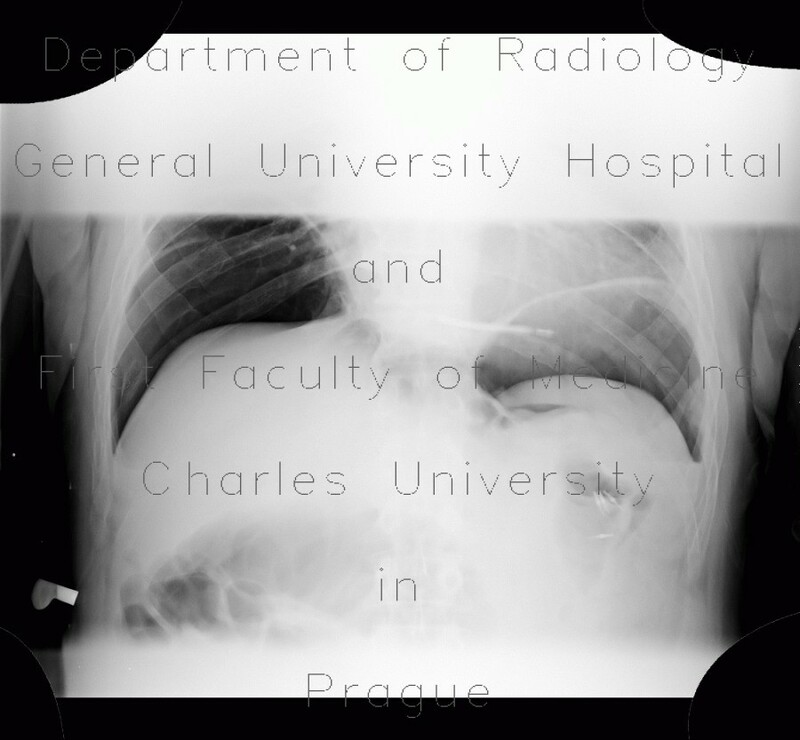 This is an errect radiograph of a patient after endoscopic polypectomy. This radiograph confirms suspected pneumoperitoneum, which is a complication of polypectomy. Also note presence of metallic hemoclips in the splenic flexure.